RBS has been the subject of a number of posts here in Financial Regulation Matters (ten), with posts concentrating on their incredibly poor performance over the last two decades. Posts have looked at aspects such as the increasingly poor financial results being disclosed by the bank and Fred Goodwin’s close-call when he narrowly avoided having his day in court regarding his performance in the run up to the Financial Crisis. However, in today’s post, the focus will be on the so-called ‘Global Restructuring Group’ (GRG) and the sentiment that its problems are causing; we have looked at the issue before with regards to a leaked document that partially detailed the abuse of power demonstrated by the group, but the reaction to that leaked report has been incredibly revealing, and will form the focus of this piece. We heard last time how the GRG, a division within RBS which was tasked with assisting SMEs navigate troubled periods, was in fact doing the opposite and was actively creating an environment from within which many SMEs did not recover. The division, which according to the BBC who had obtained a copy of a leaked report from the Financial Conduct Authority (FCA) resembled more of an ‘undertaker’ division, was subject to an investigation by the FCA with RBS, apparently, not even providing full assistance with the FCA’s efforts (RBS subsequently denied these claims). However, the leaked report was not the complete report, which understandably led to calls for the full publication in light of the scandal. Chief amongst those calling for the leaked report to be published in full was Nicky Morgan, the new Chair of the Treasury Select Committee, who had stated that ‘nearly four years since the report was commissioned, we are still waiting for answers… the report itself is now in the hands of an unknown number of third parties. The FCA has no control over the timing or content of further public disclosures from it. The balance has tipped firmly in favour of full publication. I have written to Mr Bailey (head of the FCA) to urge him to secure the approval of RBS to do so, without delay’. 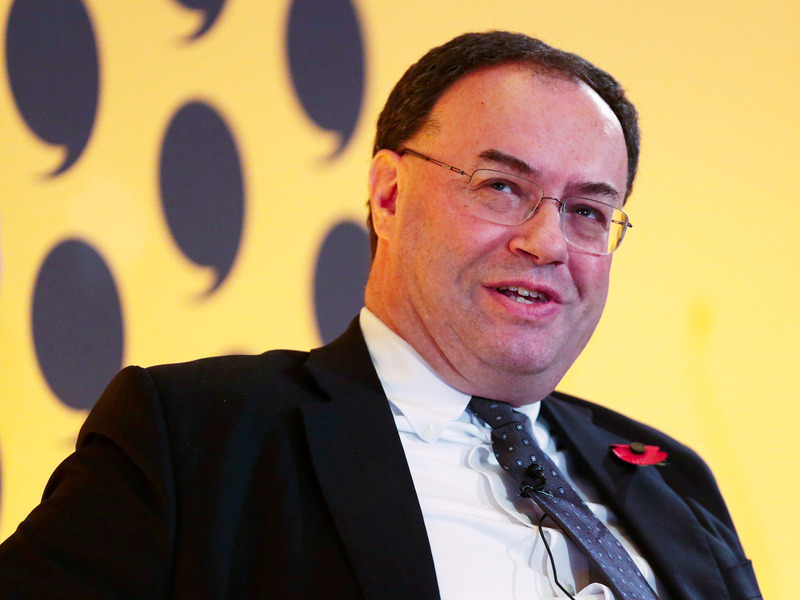 Yet, this stern language did not garner the required response, with Andrew Bailey responding that full publication could contravene the Financial Services and Marketing Act, and that he would not publish the full investigation because to do so would undermine the regulators’ ability to supervise firms because the reviews are entered into on the understanding that findings will remain private. Furthermore, the head of the FCA demonstrated his belief in the ethical and moral underpinnings of the regulated when he stated that the promise of privacy meant that regulated firms would not try to withhold information and that he was ‘very keen that this situation should continue and that it would not be in the public interest to limit the effectiveness of this process’. The potential legal recourse for this issue is that the Select Committee can compel the FCA to release the full investigative report to them (something which they can then choose to make public if they see fit), but the general feeling is that this drastic course of action will not take place. As this situation will undoubtedly continue to develop, for us the effect of this news is worth focusing on. There are calls at the moment for Andrew bailey to resign from his position in the wake of his refusal to publish the full report, which is entirely unsurprising given his siding with the firm who have devastated a number of SMEs in apparently the very same manner which the division within HBOS did. Comparisons between the two cases will be naturally made, but one side issue which will be of interest is whether the leaders of the GRG will be subjected to, even in some limited form, to the same Criminal law procedures that led to Lyndon Scourfield being jailed alongside the other perpetrators. To return the FCA, this period of scandal is the latest in a long line of questions regarding its ability to effectively regulate, with previous ranging from its regulation of insurers to simply how it responds to criticism; two years ago the regulator narrowly avoided the dreaded vote of no confidence from Parliament, highlighting the scale of concern regarding the Authority’s ability to regulate. This latest episode will do Andrew Bailey’s tenure as head no favours, and moreover the future of the FCA depends on how it handles situations like this; on that score, the future for the FCA is worrying. The Financial Services Authority (FSA), the regulator which was disbanded after the Crisis and whose role the FCA, in part, acquired, was disbanded by George Osborne on the basis that it has become too ‘narrow’ and focused only on rules-based regulation, something which he suggested was at the cause of the FSA’s failure to spot the impending financial crisis. However, the FCA is in danger of heading the same way but for different reasons, with the result being, potentially, catastrophic given the recent reformation of the British financial regulatory framework. RBS is undoubtedly the U.K.’s ‘problem child’, and its consistent poor performance and attitude towards the British marketplace (at first instance) is forcing regulators into a corner. Not only is the bank caught up in this latest scandal which represents, in effect, an attack on the heart of the modern Western capitalist structure – SMEs -, but it has also just announced that its planned strategy to move hundreds upon hundreds of British jobs abroad is picking up pace. RBS, with its failing performance, continued transgressions and disregard for the taxpayer who holds over 70% of its stock, is making its position clear to the marketplace, which is the reason for the increasing number of headlines containing its name – the question now is what will regulators do to tackle the problem? Ultimately, Andrew Bailey’s response to Nicky Morgan’s request is the clearest indicator, if one were needed, that regulators are more concerned with the regulated entities than the public who pay their salaries and budgets. Andrew Bailey’s faith in the market’s moral compass, particularly of those like RBS who it knows have been systematically destroying SMEs, is not misguided as many have intimated; his response is indicative of a captured regulator, and on that basis and with respect to the current climate, the FCA is operating in particularly dangerous territory. Since the Crisis the public have become more aware of the workings of the financial system, and although the attention of vast swathes of the public can be diverted to other issues, the understanding that regulators are complicit in protecting those who cause serious and widespread social harm is ever-growing and represents a new force that regulators and politicians must be aware of. The risk of public confidence plummeting to such levels that the regulator would be disbanded is a serious one, because a disbanding of the FCA so soon after its creation would bring forth the question of whether any regulator can protect the public against the venal – it is suggested here that politicians and regulators consider this question, because if the public realise the real answer, then there is little that could be done to remedy the situation.